Off Topic I know your bike isn't the only thing on your mind. This is a place to talk about it. just curious if anyone bikes on this forum and what kind you have. cycling is what got me into motorcycles. I ride both road and mountain, but mainly road. 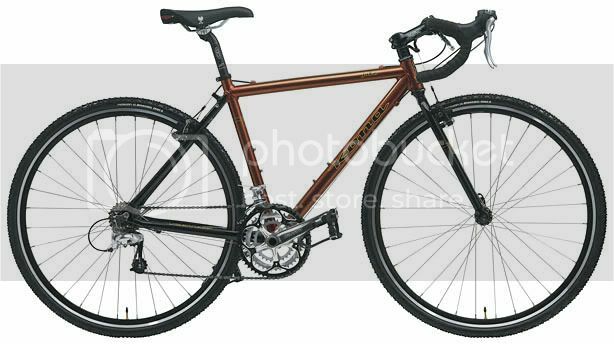 I have a 2004 Trek 1500 and a 2006 Fuel EX7 full-suspension. The garage is getting too full so I think I'll be off-loading the 2006 Fuel since I hardly ever ride it. I used to ride about 50 miles a week, but now it's so much more fun to just twist the throttle. sodaking, what kind of cycling do you do? I am trying to get back into cycling after a bad back injury. 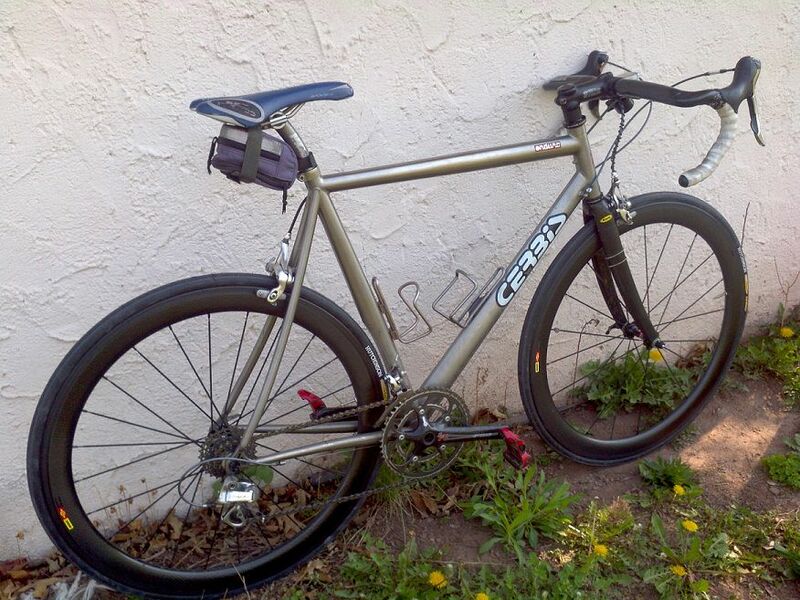 I have a cannondale r3000, a gt zaskar, and a gt avalance modded for the street from my messenger days. Cycling pretty much got me into motorbikes too. I do. I ride a '98 Trek 2100 and commute on a mid-80's Miyata that I recently converted to fixed gear. Started out w/ BMX bikes back in the day, then had a moutainbike no suspension. Now I have a cycle cross bike. You can put road tires on it and it will scoot through the city, The offroad tires make it surprising capable on trails not a jumping machine at all however. It's a 2K6 Kona Jake. Only thing I've done to it is put clip-in pedals. i have a jamis ventura road bike. it's an entry level bike. right now (summer) i'm averaging 65 - 80 miles a week...average route is 22 miles. I used to be huge into mountain biking before I got lazy and bought my motorcycle. I mainly stuck to downhill, freeride and trials. I went to United Bicycle Institute out in Ashland Oregon and actually built my own custom frame and wheels from scratch. Then just covered it in LX components (I went cheap cuz I ride like a moose and none of my components ever last very long) and slapped on a Marzocchi Z1 I had sitting around. Most of my frames only lasted about 2 years before it was bent to all hell but the one I made myself has lasted over 4 and going strong. I guess thats what you get when you design your bike for your exact personal riding style. usually yes but the Jamis is a piece. all sora components. it doesn't shift well and makes a racket when pedaling. i should have went with a giant or trek - but again the main problem is the components. I got luck with the 2004 Trek 1500 since it came with Ultegra in the back and Tiagra in the front. I think newer models get Tiagra and Sora. The brakes are some no name pieces of junk, but I upgraded the pads and it made a huge difference. You're right, components make a huge difference in the entry level bike range. Thread revival after 10+ years? I've been an avid cyclist even before motorcycling. Now I commute with my bicycle when I don't need to carry so much with me to work. 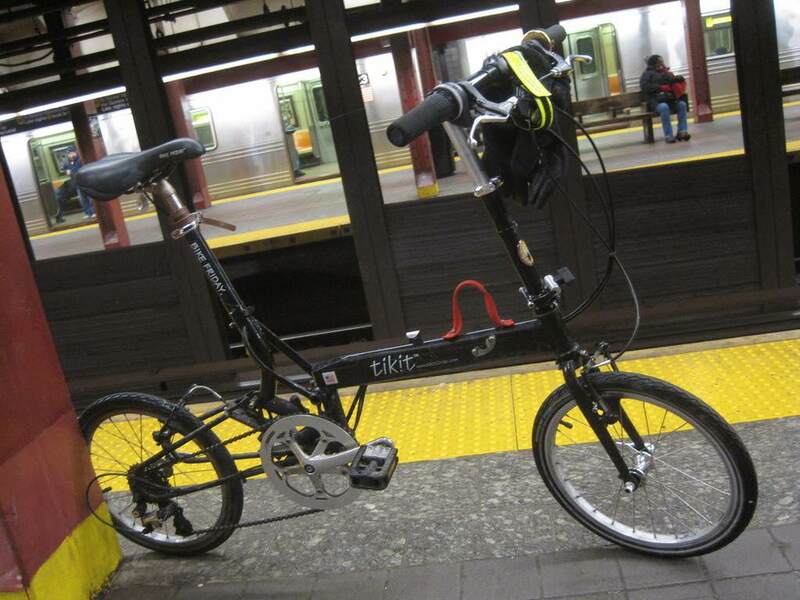 MON-FRI weather permitting, I ride my folding bike 1.25 mile to the train or ferry station, catch the train or ferry to get across a river that don't have bridge for pedestrian to get across, then pedal another 7 mile to get to work. When weather is bad, I carry my bicycle on the subway.. I was a regular bicycle commuter for years. 22 miles per day, Monday through Friday. Now I ride the train and read a few forums during the commute. I am a pretty avid cyclist, this is my road bike. I also have a commuter. I do a 250km ride to raise money for cancer research every summer. Use to. Now I work so much I don't have time to do much of anything. Most of my weekday pedaling are short distance, low speed, commuting miles. Most weekends I go out on longer rides when weather is decent... once or twice a year I do a century ride with friends. Last edited by "A"`; 10-19-2018 at 06:17 AM. 40K miles is more than most motorcycles get on them! That's impressive. I remember pedaling over 300 miles a week, commuting, training and racing in my prime college years; days of eating everything I wanted and more.. still managed not to gain weight. I keep a tradition, every year on my birthday I would pedal the same mileage as my age. It's not getting hard due to distance, but around Manhattan, it's hard to stay alive pedaling in traffic. I'm getting an electric bike for my father-in-law who's been wanting something that's easy to step over and take up minimal space in their house/garage. His typical ride for them would be trips to the grocery store 1/2 mile to 2 mile away, maybe occasionally 7-8 miles one-way to the nearest fishing pier along the Bay Parkway in Brooklyn. I ordered a $950 free shipping, step-thru ebike, 500w, 48v 12.5 ah, about 55 lb. bike, expecting delivery next MON. Of course, I will be riding it first. Last edited by "A"`; 11-17-2018 at 11:31 AM.